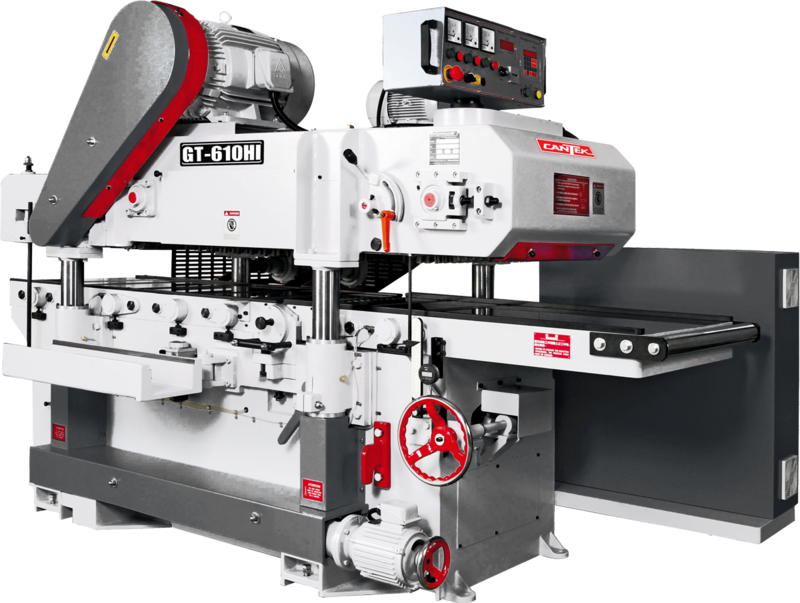 A special gauging device mounted at the side of the machine quickly detects board thickness and reduces set-up errors. Cutterheads are Carbide spiral insert type. Heads have six (6) rows of carbide inserts, positioned in a spiral pattern, staggered. Two sided knives are 30mm x 12mm x 1.5mm. 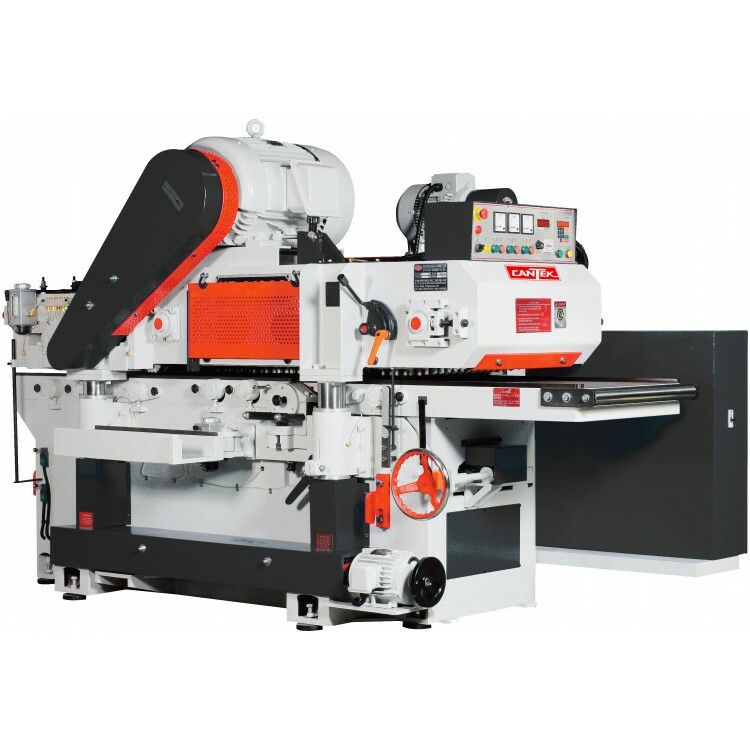 These cutterheads produce an excellent finish, run much quieter than conventional straight knife heads, and require less HP to perform the planing task. 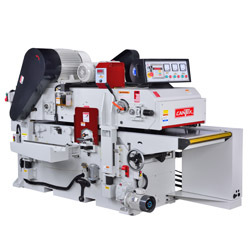 The inserts are an industry standard item, and have four (2) cutting edges at 4600 RPM. 4 heavy jack posts lift the feed carpet and top head assembly by 1 HP motor. The Feed System uses a spring loaded pin arrangement to pass material over the bottom jointing head. A driven rubber top roll, after the top head, delivers the material out of the machine. Front table is wedge/gib mounted and can be adjusted by the front handwheel. Front mounted control panel provides electronic display of bed opening.